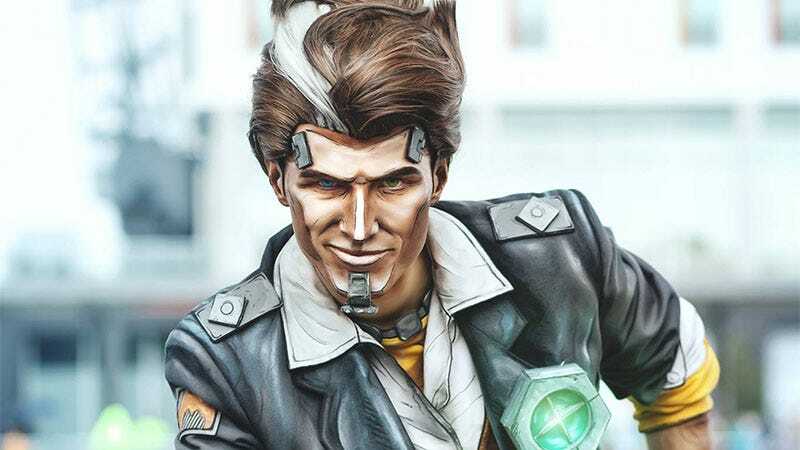 Handsome Jack, are you real? *reaches out, touches screen* I’m still not entirely sure. Jack is by Mary & Feinobi cosplay, photo by So Say We All, who posted this “before and after” shot to show that the cel shading effect comes from A++ make-up work, not Photoshop trickery.